Face Painters: Face Painting and design in the Maryland, Northern Virginia, Baltimore, and Washington DC Metro Area. Our face painters will create "cheek art" on your face, arms or hands. The little ones get just as big of a thrill watching as they do the final product! Adults and teens love it, too! Our face painters do real wearable art, with small designs or elaborate full faces. Perfect for an adult Mardi Gras party or any children's event! Are You a Face Painter? 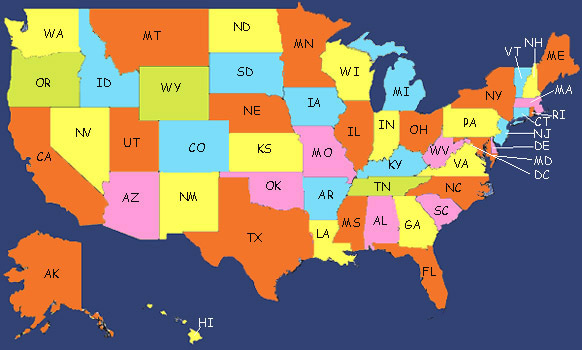 Select your state below or click here for Face Painters in Canada.